How can you fight against the heat in a fun way? With water, of course! 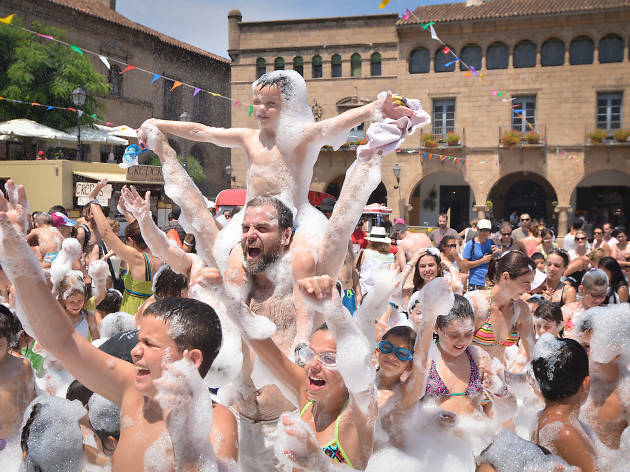 Instead of heading to the beach or the swimming pool for a day, make your way to Plaza Mayor in Poble Espanyol, where you'll find Splash, a big water party for families and friends. The big draw is the foam party – be sure to wear your swimming gear or old clothes and bring something to change into – where kids and their parents have a hilariously good time. Splash also features a load of activities, many related to water, like a bubble workshop, traditional games, a family gymkhana around the venue, bouncy castles in water, and even a magic show.